Can you think of a worse thing to be confronted with than a room full of your ex-boyfriends? Ok, well maybe a room of ex-girlfriends is worse – at least for the guys – but what about a room full of angry gorillas? That would be awful, because who wants to admit they dated a gorilla…much less multiple gorillas? Anyway, you get the point. 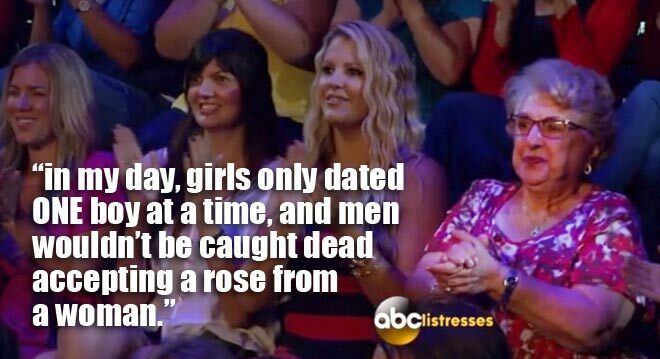 Well, that’s what Desiree had to face this week on The Bachelorette: Men Tell All episode. But these were men…not gorillas…unless you count Mikey and James. The audience for the “Tell All” episodes are almost as entertaining as the show itself because you get to see some of the most whipped men in all of America. No seriously, the audience is like 98% women and then about 2-3 guys who either got dragged there by their girlfriends/wives OR they saw it as an opportunity to meet chicks. Hey, it’s the same reason a lot of dudes join the cheer squad or glee club, so you can’t knock them. 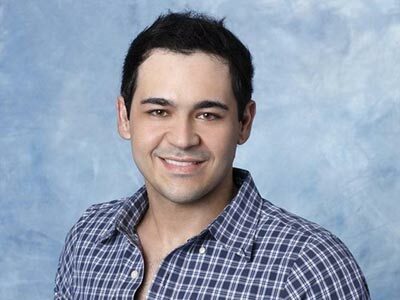 Most of the women are young 20-somethings who try to dress as hot as they can in hopes that Juan Pablo or Kasey will notice them. 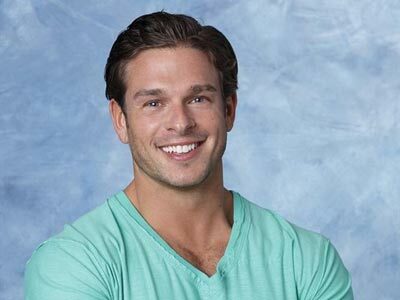 Uhhhh, don’t mean to burst your bubble ladies, but don’t confuse these bros coming on The Bachelorette with guys who are desperate. 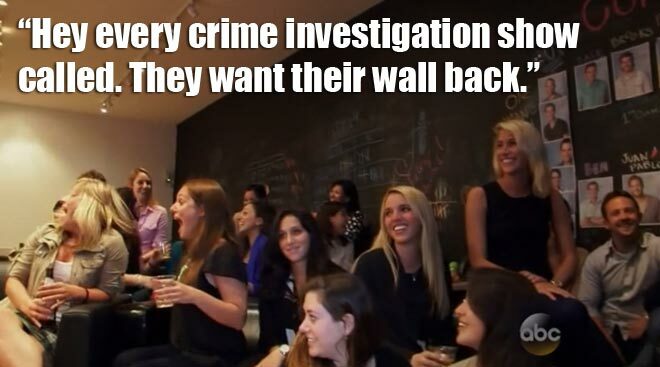 Chances are most of these guys were dating SEVERAL women before they were even on the show, and now that they’ve been on national TV you can forget about it. No seriously girls, Zak with a K could walk around in that idiotic penguin costume through the streets of Dallas and probably get more chicks than Clooney and Gosling combined. Yep, deal with it, ladies. You know it’s true. 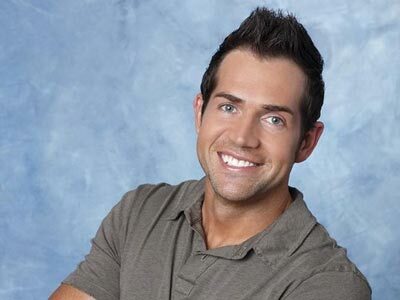 Even though the demographic for Bachelorette fans is the 25-40 range, you occasionally get the naive old lady in the audience who has absolutely NO idea what’s going on. Because I’m sure NONE of them have ever cheated on their boyfriend before or dated multiple guys at once. 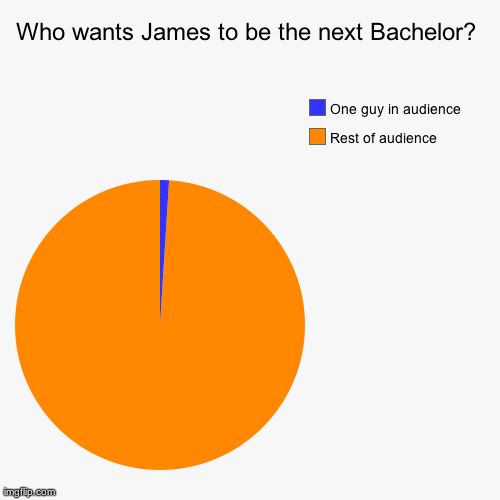 One thing that’s undeniable is the extremely loyal fan base of The Bachelor and Bachelorette shows. I mean, they’ve basically been watching the same exact show for 26 seasons, just with different actors and slightly different endings. It would kind of be like having a friend who’s on their tenth marriage and you’re still all like “OH GIRLS, I’M SOOOOOOO EXCITED THAT JANE HAS FINALLY FOUND TRUE LOVE!!!! !” when everyone else is saving their receipts for their wedding gifts. 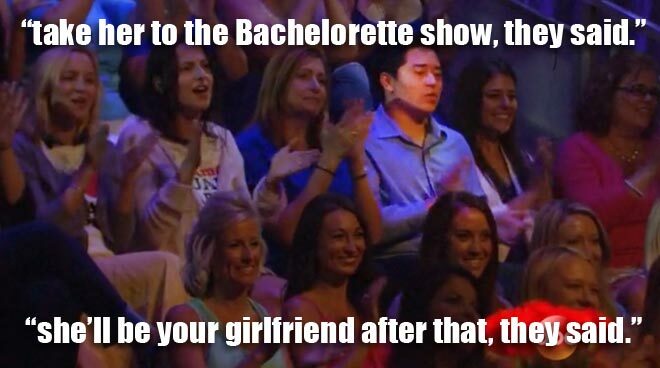 Anyway, ABC does a fantastic job of interacting with these super-fans, and they send out host Chris Harrison and Desiree in the “Bachelorette Party Bus” to go crash some of “Bachelorette Viewing Parties” in Los Angeles and New York. And yes, “Bachelorette Party Bus” and “Bachelorette Viewing Parties” are both real things, people. 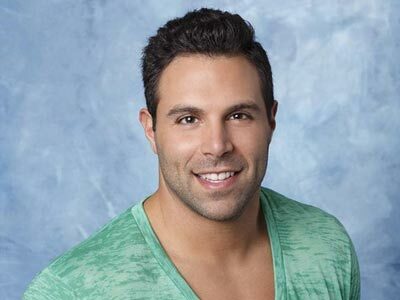 Instead of knocking the door of the first house, Chris and Des instead decide to spy through the window while the fans are watching The Bachelorette. 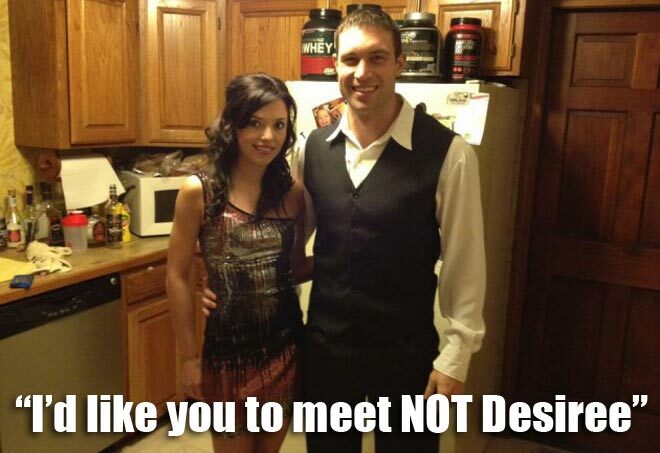 And then Desiree just does one of her “awwww’s” and still has to hang out with these people and take pictures. Now THAT would have been good TV. That being said, you can tell the fans are so super excited to see Desiree, but I have a really hard time believing that these people get this dressed up to watch a TV show together. But, this is L.A. so maybe no one owns pajamas or a pair of sweatpants. 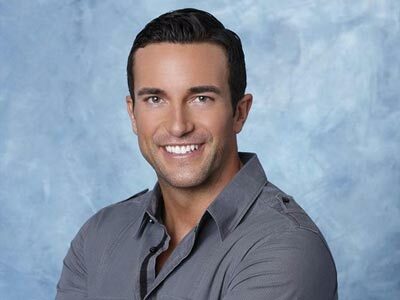 Also, I can’t tell if it’s super nerdy or super creepy that many of the viewing parties have giant walls devoted to tracking and rating all the characters on The Bachelorette. However, you KNOW one of these days a Bachelor or Bachelorette is going to flip out and kill someone, so this strategy could come in handy. 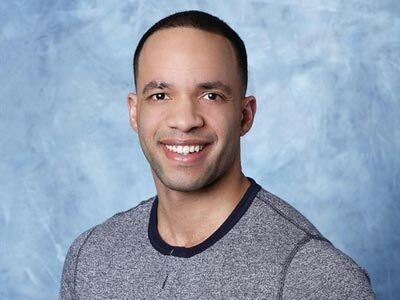 My vote for this season would be Brandon…in the hot tub room…with the Old Navy hoodie. 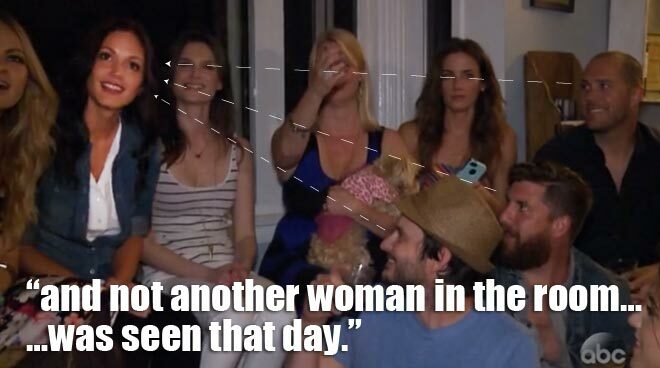 The girl to guy ratio at the Bachelorette viewing parties seems to be about the same, but I don’t think the bros really mind…at least in this case. 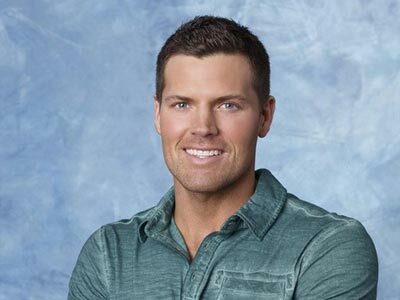 Some past Bachelor and Bachelorette stars joined Desiree in the party-crashing, like “America’s Sweetest Couple” Ashley and J.P. (Des’ words…not mine), Jason and Molly from season thirteen, and Bachelorette icon Trista from season one. So yeah, basically the only people from either show who actually had a real relationship. The best moment was Des trying to playfully “give a rose” to Jason and Molly’s baby – which he respectfully declined. Apparently, he did not share the same feelings with Des. What made this better is how SUPER ADORBS Trista thought this moment was. Before meeting all the Bachelors face-to-face, Desiree once again asks some of her “BFFs” – Emily, Ali and Ashley – for advice on what to say. She’s especially nervous about talking to Ben and James, the “Bad Boys” of this season, because apparently if you don’t like other guys who are trying to take your girlfriend or you want to be the next Bachelor you’re a horrible person. 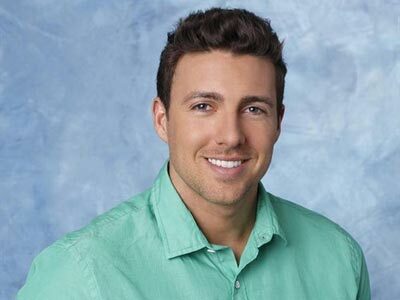 A few of the Bachelors get to talk one-on-one with Chris Harrison in the “hot seat” because they were either really, really love by the fans or they were the world’s biggest idiots and they need to explain themselves because, RATINGS. 1. 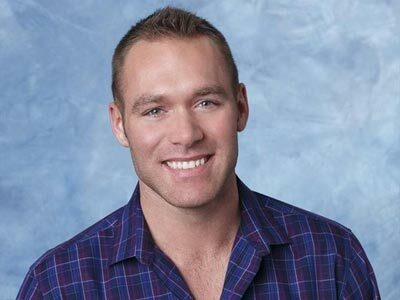 How could Desiree actually pick Michael over him? 2. Why do you need to be buddies with a bunch of guys who will be making out with the girl you like ten minutes later? It makes no sense. However, he had to done some pretty messed up things to have literally EVERY Bachelor hate him. I mean, even Mikey hated him, and Mikey is probably only a single notch above every character on that Jersey Shore show. “THIS guy.” – Brandon, pointing at Ben. But the most surprising was Dan just blindsiding Ben out of nowhere. He revealed that Ben’s baby momma had approached him in Las Vegas and told Dan about how Ben had cheated on his then girlfriend with her. Or, in other words…Dan totally hooked up with Ben’s baby momma in Vegas. In the end, Ben was only remorseful about his reaction to being let go, which means he totally never made it to Hollywood. Besides being attacked by a spray tan machine, James was in “classic James” form during his time in the hot seat. He smiled his evil smile when he needed to, and pretty much denied everything he ever said or did. I really wish someone would have confronted him about eating chocolate-covered strawberries in the tub and hanging out in a white bathrobe all day, but did anyone really need to? I mean, it’s James, people. According to James, real men sit around and talk about all the tall, rich women they can get with when they are done with their current one. James is living proof that crazy cat ladies may just have the right idea. I will give James props for the awesome zing on Desiree while they argued about his true intentions. 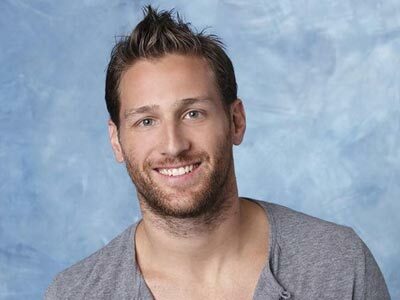 Juan Pablo may not have done much on the show other than play some soccer and watch the Lone Ranger trailer, but he has put a stranglehold on the hearts of all the women in America. 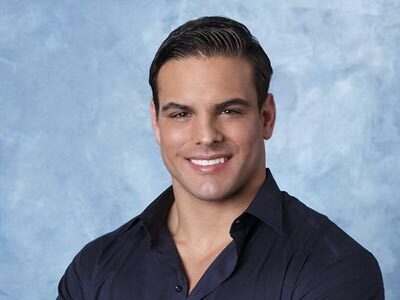 Seriously, whomever marries this guy will undoubtedly be the hottest soccer mom in all of the world. 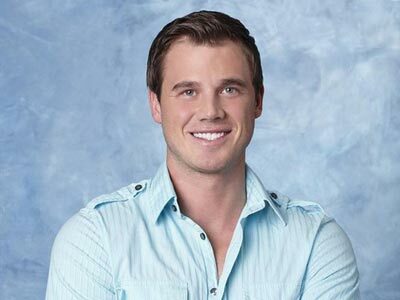 And can you say “The Next Bachelor”??? 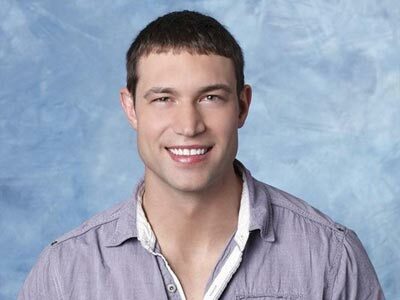 I’m not sure Juan Pablo can, but we are going to have oh so much fun watching him try. 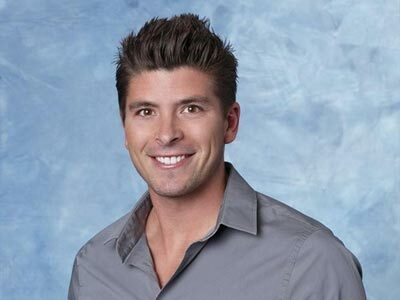 If Zak with a K knew this episode is also an interview process for the next Bachelor, then he pretty much nailed it. Zak with a K is just always full of surprises. #1. The secret poem in the diary. I was surprised because first of all, why did Chris Harrison have it? and secondly his poem was WAY better than any of the crap that Chris and Des have written. #2. The song. When Zak with a K said he had something prepared to say to her, I was not expecting a break up song. The only thing worse than being serenaded by your boyfriend is being serenaded by your ex-boyfriend. 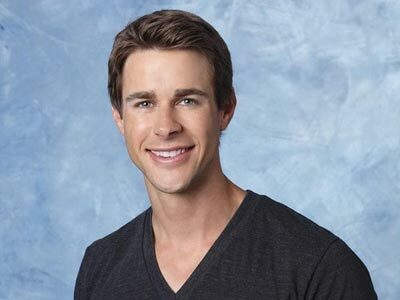 I was also surprised when Jonathan didn’t get booed by Bachelorette Nation, but I think it was largely due to the fact that nobody could actually remember his name. Had they introduced him as the “Creepy Fantasy Suite Guy” I’m sure the ladies in the audience would have responded more appropriately. Jonathan gets the class award for Most Improved Pupil because he had the decency to look ashamed and embarrassed when watching back the clips of his “joke gone wrong”. Jonathan just admit you were hammered and let’s move on. Robert has a knack for jut sitting there and looking pretty, and for that we salute you. Does Brandon regret being on the show? But really, the rap video? “Ok, one regret.” – Brandon, probably in his head. Kasey really needs to get over Brian ruining his one on one date. Dude, you went building dancing. It was already ruined. Wait, was Will really there? That had to have hurt when Chris asked the guys what the other dads were like in the house and the only answer was “Juan Pablo is a great father.” This was basically code for Brad is a douche just like Ben. Please, please, please let this be the last time I ever have to watch Michael G. on TV ever again. He proved his loyalty to James, and now the two of them are free to bro it up all over Chicago! So if you’re a tall woman with a lot of money, and you find yourself on a boat with either Mikey or James, consider your life a failure. Hey Will, did you know Zack was there too? Apparently Brian and Stephanie were too busy throwing rocks at each other for Brian to make it to the Men Tell All. When a guy won’t show up to defend himself or tell his side of the story, that’s a pretty good sign that what we saw was the real deal. Oh, and please let them still be together. Now THAT would be a great TV show. 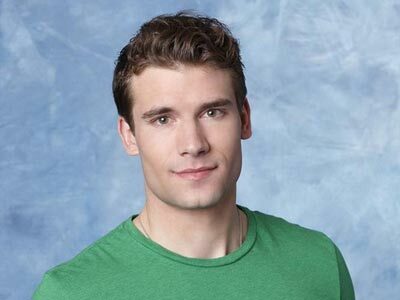 I have no idea who this guy is and I basically study all thing Bachelorette. Way to get a free trip to L.A. Nick M.
Dan dropped a BOMB on Ben in front of all of America and it was awesome. Even if he just entirely made up the story about Ben’s baby mama seeking him out and dissing on Ben, I am so happy he did because watching Ben get trashed is just way too much fun. But hey, remember that one time Dan ripped his pants on TV? Sorry Dan, but that’s still all people are gonna know about you. 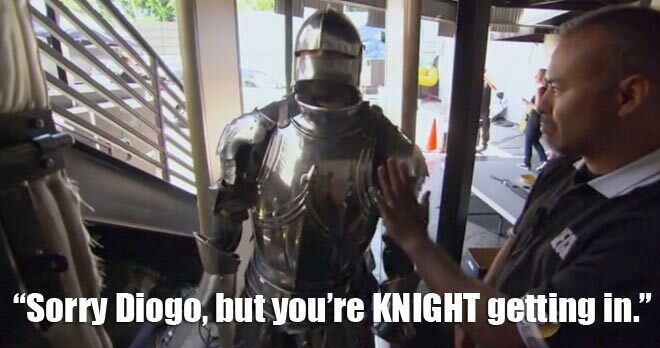 We’re not sure if that was actually Diogo in the suit of armor trying to get through security, but it was a great shout-out to perhaps one of the worst gimmicks in Bachelorette history. 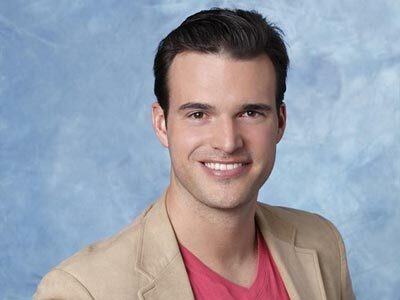 Stay tuned for next week’s Bachelorette Breakdown!